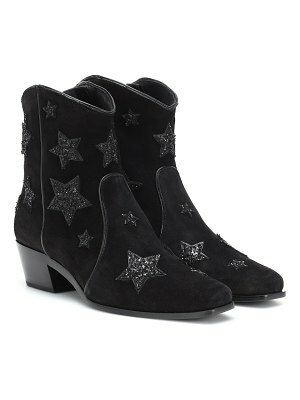 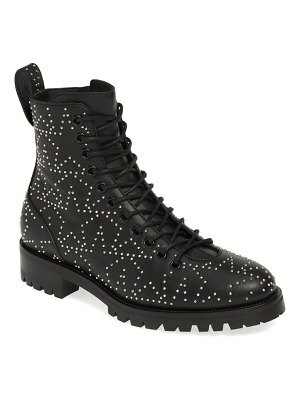 These Star detail boots have the quirky, spontaneous style of the Miu Miu collection. 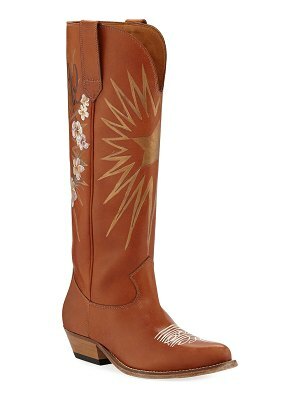 The Italian fashion house has fun with decorum and likes to mix inspirations to deliver its contemporary vision of women. 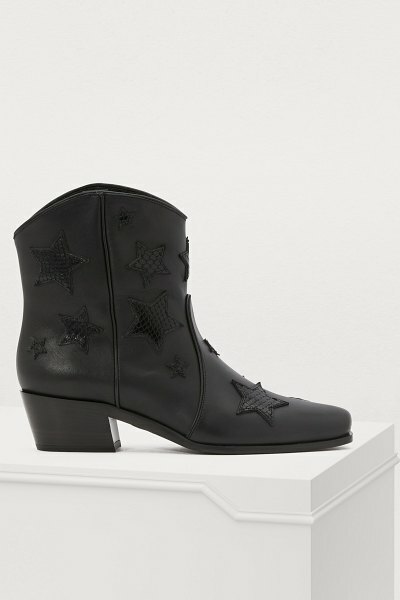 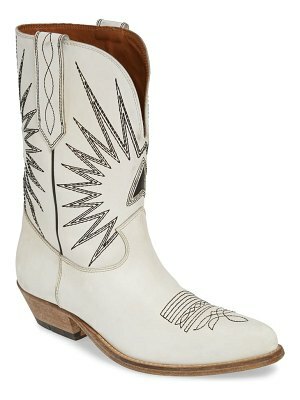 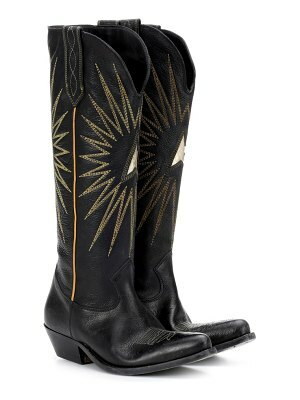 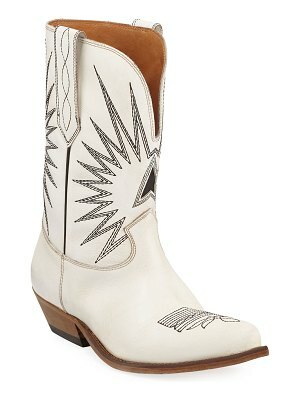 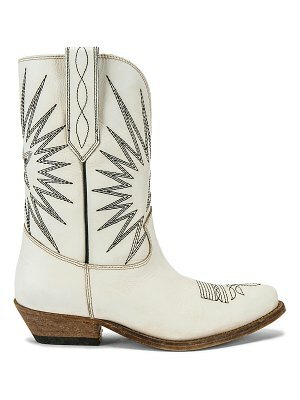 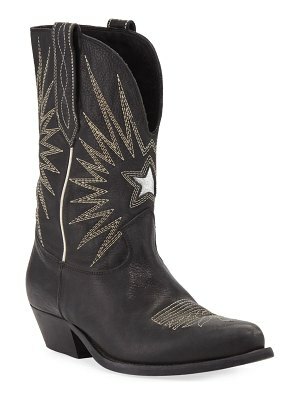 Create a classic outfit by combining these smoot leather cowboy boots embellished with tonal stars and a sheer midi dress.